Hey y’all! 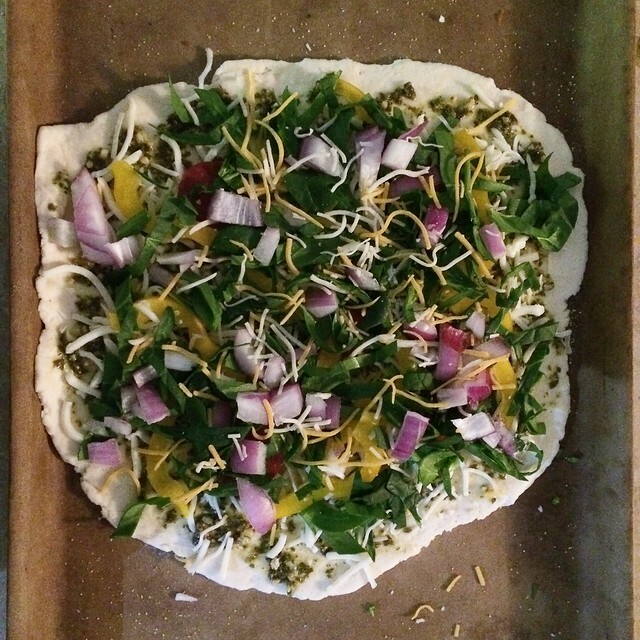 Today I just wanted to touch base with y’all and share a clean pizza dough recipe that popped into my Facebook feed. My internet has been down and I have been pretty twitchy about it. There’s only so much you can do from a phone. I’m back up and running now and have a fun medicine ball circuit coming at you soon! So for now, pizza! That’s it. I added a little more yogurt because it wasn’t all coming together…then added a little more flour when it was a little too sticky. You want to be able kneed it all together and roll it out with a rolling pin and not have it be super sticky. This made tw0 10ish inch pizza crusts. I didn’t roll the kids out as flat and it had to cook longer than mine that I rolled a lot thinner. They cooked for about 30 minutes but I would set your timer for 25 minutes and check to see how they look and adjust from there. It all depends on how thin you make it. Taste wasn’t awful. Pretty floury though so maybe next time I’ll try adding some herbs or garlic to it (or both!) to make it more fun. 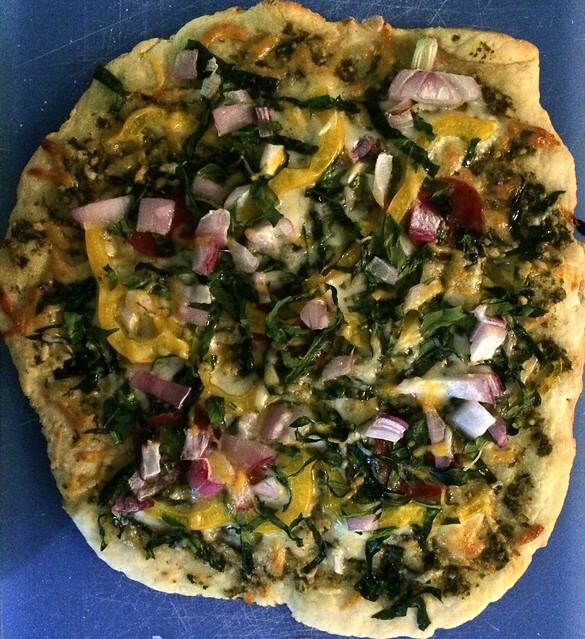 It’s no Mellow Mushroom crust but when you want something healthier than a pre-made store bought crust this is definitely an easy recipe to keep on hand. And the kids liked it! Double win.